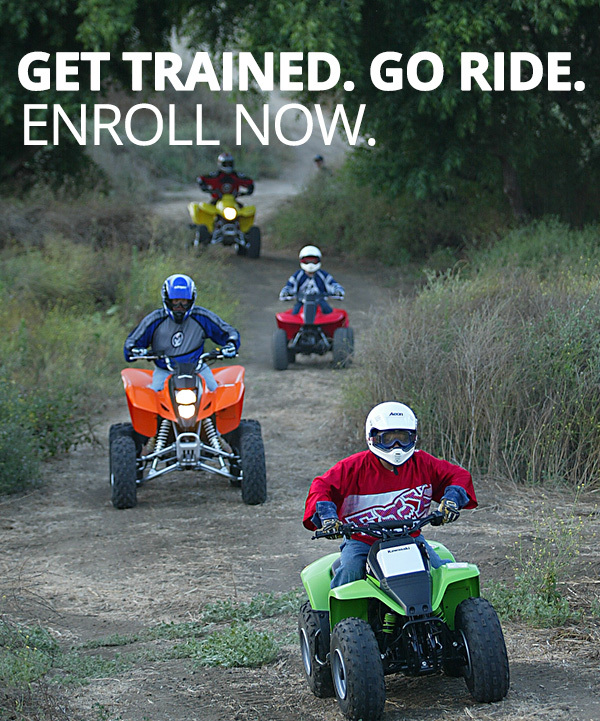 The ATV RiderCourse is two parts, a 2 hour online e-Course and a hands-on, 2-2.5 hour s-Course conducted by licensed ATV Safety Institute Instructors. The e-Course develops safety knowledge and awareness through interactive activities and video. The course covers protective gear (like DOT-compliant ATV helmets), environmental concerns, riding strategies, and local laws and is a pre-requisite for the hands-on s-Course. The s-Course offers students an opportunity to practice basic riding skills in a controlled environment under the supervision of a licensed Instructor. Students practice basic safety techniques with hands-on exercises covering starting and stopping, turning (both gradual and quick), negotiating hills, emergency stopping and swerving, and riding over obstacles. Particular emphasis is placed on the safety implications relating to each lesson. Individuals 6 years of age and older may take the class. Riders younger than 16 are restricted to ATVs of the appropriate size recommended for the rider’s age. There are special teaching provisions for students under 16 years old, and parents are encouraged to attend as well. Students younger than 12 participate in separate classes and a parent must be present during the entire course. 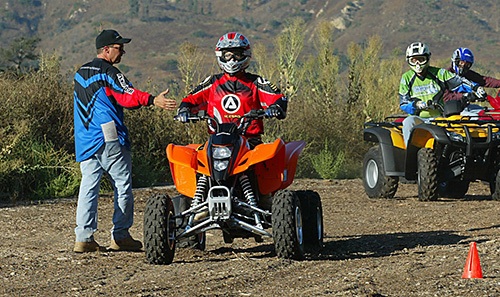 The ATV RiderCourse is taught only by Instructors who are licensed by the ATV Safety Institute. All ATV Safety Institute Instructors must complete a comprehensive training program and meet specific requirements to become licensed.